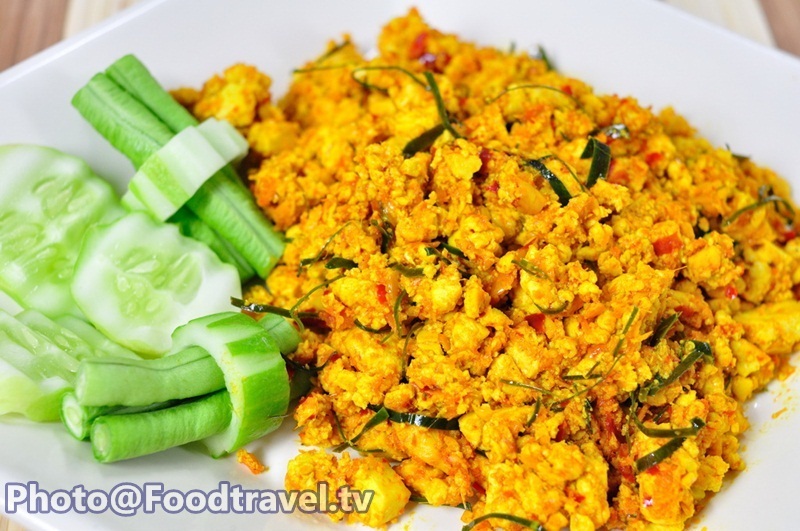 Fried Spicy Chopped Tofu vegetarian - This original mane is from Southern of Thailand and made from pork. But we will make this menu for vegetarian so we will use tofu. More delicious when eat with rice. 2. Pound all mixture and mix them together. 3. 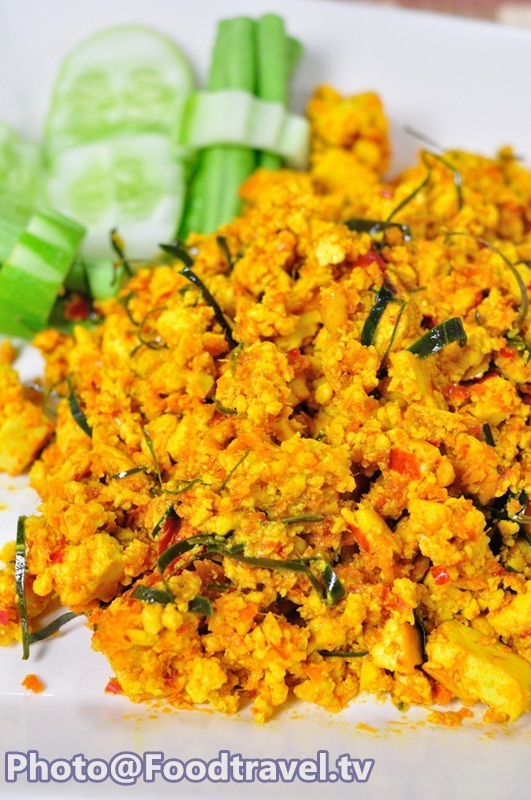 Fry the pounded mixture and put the tofu into the pan. Fry them until they done.